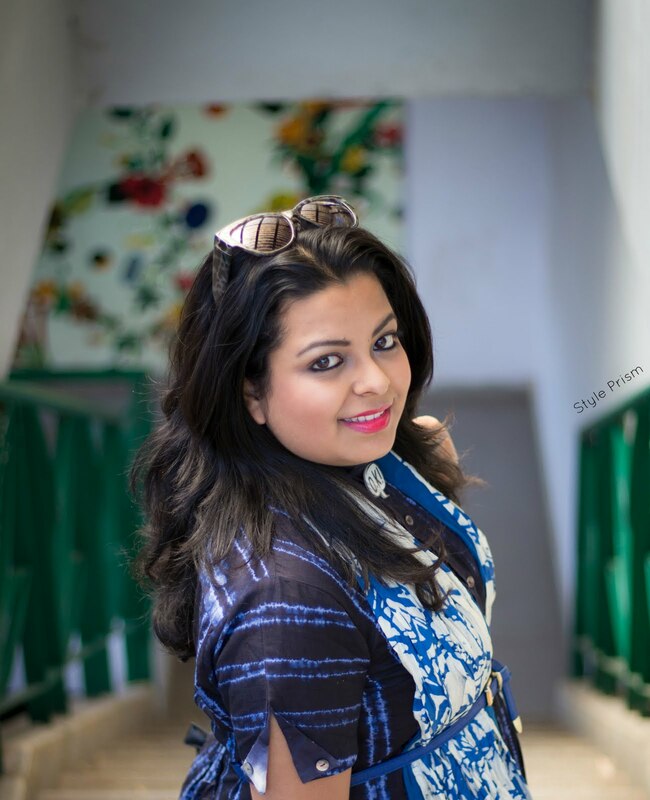 On the outfit front, I'm sharing something I had worn more than a month back, on a day trip to the nearby artistic town of Shantiniketan. A beautiful, enriching day full of Tagore, art, ethnicity, heritage & loads of fun! This denim shirt-dress is one of the saviours in my wardrobe. One of those eternally versatile pieces that never fail you? Yes, this is one of those! 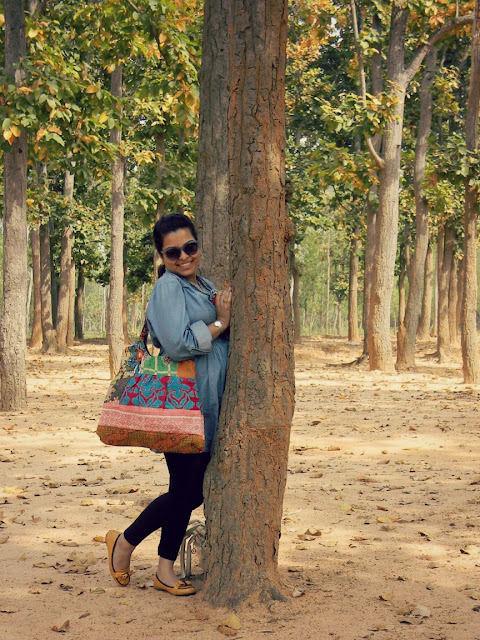 As you can see, Shantiniketan had some pretty & creative places to watch out for. 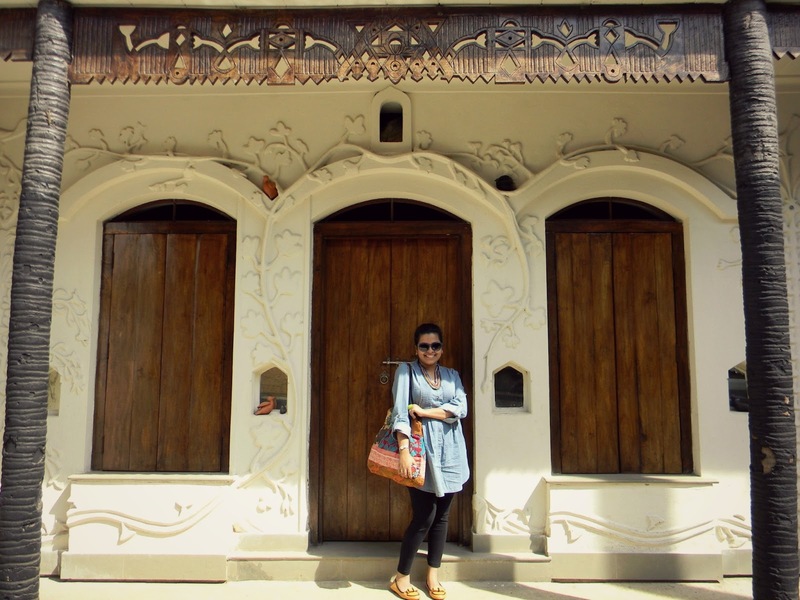 This is a common man's house, on the outskirts of the town, which was designed & built by the current occupant's father. We were passing by on the road outside this house and it's uniqueness & beauty compelled us to stop and explore it a bit (Whatever could be done, without intruding on the privacy of the occupants)! Also, don't forget to enter the amazing giveaway going on at the blog and Facebook page right now! Have a happy Easter Sunday fellas!!! All the best Anu. I love all ur creations n no doubt tat they wil be liked by all! Oh my God!!! You look lovely! and you make me want to run to Shantiniketan! Oh man and that bag is so beautiful!!!! This is a very nice casual outfit. As ever, looking pretty and stylish. Nice handbag as well. 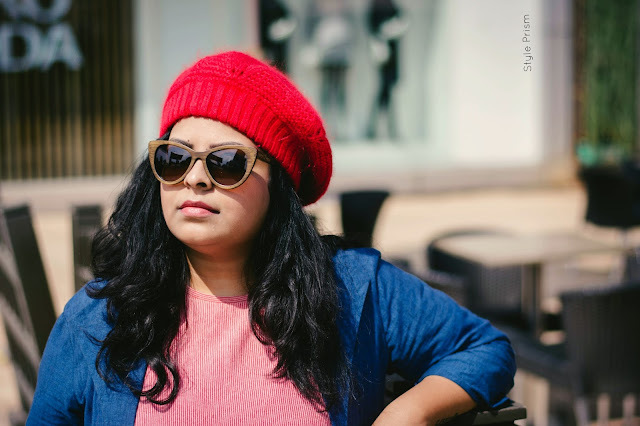 Cool stuff, Anupriya! Love and want your bag. 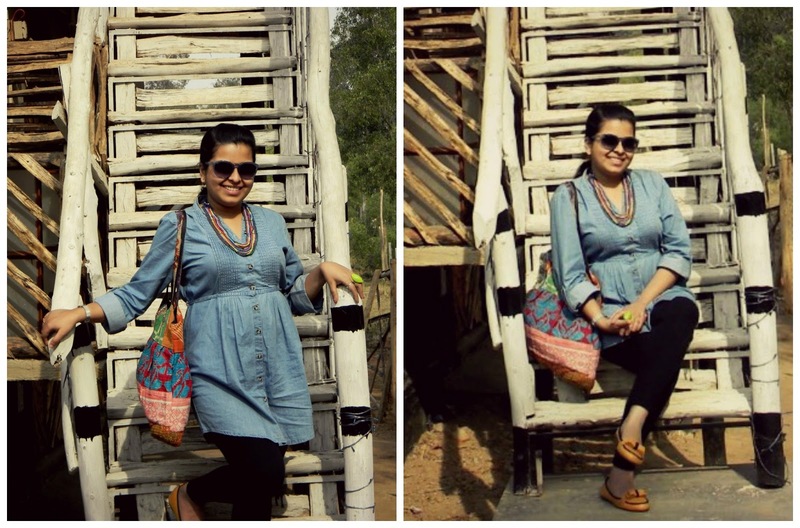 i have never been to shantiniketan...love the architecture..and love your denim shirt-dress,jhola and shoes! 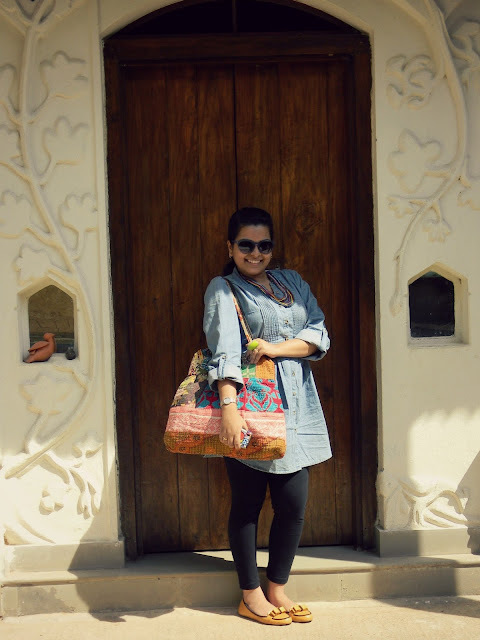 Love the denim tunic ..very wearble one for summers and super love Howrah Bridge! YOU look marvelous as always! 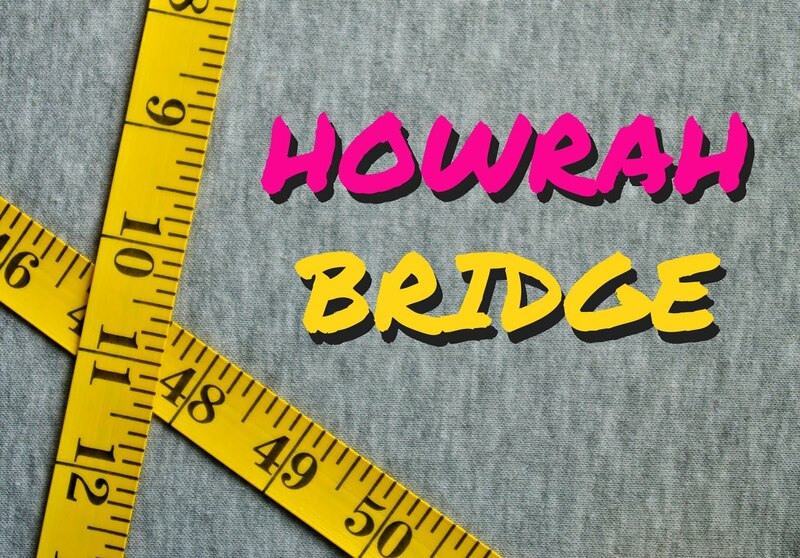 I am so wanting to get a sneak peek at your spring collection! Happy Easter, lovely lady! I know I'm a little late, but I also hope that you had a wonderful time, and smashing success, at the FUSS event yesterday - I can't wait to hear all about how Howrah Bridge fared :) In the meantime, I'll be admiring your denim top and colourful tote combination, they're so pretty together! wow such a nice blouse- love your look! Anyone told you that? I'm sure they have. 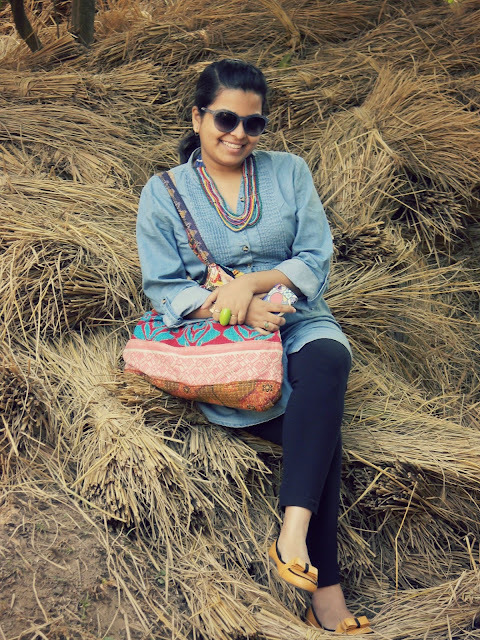 Love you boho bag! So unique! Chambray and yellow rocks ! Welcoming Spring with "I KNOW"